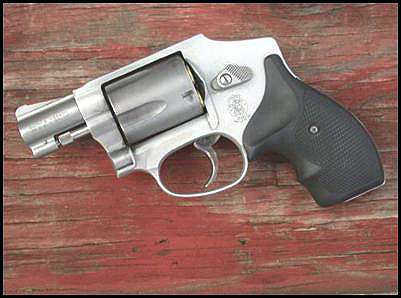 For as long as I can remember, the question of whether or not the .38 Special snub is as potent as the .357 magnum in a snub-nose revolver has been debated again and again. This is not an extensive article, but I think the answer becomes pretty clear. I didn’t have a .357 with a barrel as short as the 1 7/8″ barrel on my snub thirty-eight’s so I just fired the .38 Specials out of a 2 1/2″ Model 19. 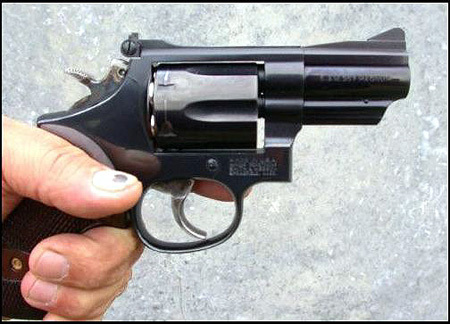 The magnums were fired from the same revolver. It is true that .38 Specials will lose a little velocity when fired from a revolver chambered for the slightly longer .357 Magnum. The figures are slight, but later on, we’ll “give” another 50 ft/sec (which is a generous amount) to the measured thirty-eight special velocities. A stock S&W Model 19 2 1/2″ revolver, except for the stocks, was used for the chronograph results shown below. Velocities are based on 10-shot strings of fire about 10′ from the chronograph screens. At this point, I’ll have to ask you to accept that the 129-grain .38 bullet is approximately the same as the 125-grain .357 and that the 4 grains would not make any real difference. Also, the handloaded .357 round was used simply because I had no data on any factory magnums in that bullet weight. Note that this is not a “hot” handload in that caliber and bullet weight. Now add the 50 ft/sec we spoke of earlier to each of the .38 average velocities and we get an “adjusted average velocity” of 896 ft/sec for the Hydrashok and 908 ft/sec for the LSWCHP. Compared to the 125-grain .357, we see that the magnum bests the .38 by 347 ft/sec. I find this a significant gain. With the heavier .38 Special bullet compared to the same weight slug from a .357 handload, we find a difference of 192 ft/sec in favor of the magnum and a medium handload. The data provided was not extensive, but based on it and what I’ve seen on more than one occasion in the past, the little .38’s main advantage as a carry gun or BUG is that it’s light, small, and easy to conceal. Its ballistic payload is not equivalent to the .357’s in most cases. While it is true that both S&W and Taurus offer .357’s in very nearly the same size package, it’s been my experience that they border on being uncontrollable when shot in rapid-fire. Others may have had better luck. I’ll take my .357 magnums in a K, L, or N frame. Little in this world is a hard and true fact and the same applies here. I note that out of a 1 7/8″ barrel S&W Model 642, Corbon’s 115-grain +P+ JHP averages an amazing 1188 ft/sec. This is in the .357 range of velocities and might be thought of as a “quasi-magnum” load. A Ruger SP-101 averages 1278 ft/sec with Triton 125-grain Quik Shok +P ammo, so we see the magnum winning again, but the .38 load does surprisingly well. Sadly, both of these loads are discontinued, as Corbon no longer uses and Triton’s out of business. Out of the 2 1/2″ Model 19, Winchester’s 110-grain .357 JHP averaged 1166 ft/sec so the Corbon .38 Special load beat it slightly in both velocity and bullet weight. These are exception to the rule. FWIW, with the thin forcing cone in the J-frame S&W, I’ve quit using the 115-grain load for fear of cracking it. The notion that the .357 is so inefficient in the two-inch guns that it’s no more effective than a hot .38 Special just doesn’t seem to be true. While neither is at its best in the snub, the magnum is the more potent of the two with most ammo.